The Christmas Market, on Plaça del Poble, is a market full of light and magic that transports visitors to a real Christmas fairytale. It’s the ideal place for doing some Christmas shopping, with a wide variety of products. Wander through the more than thirty wooden huts, where you will find the most traditional holiday items, work by local artists and artisanal products, ideal for a unique, thoughtful gift. 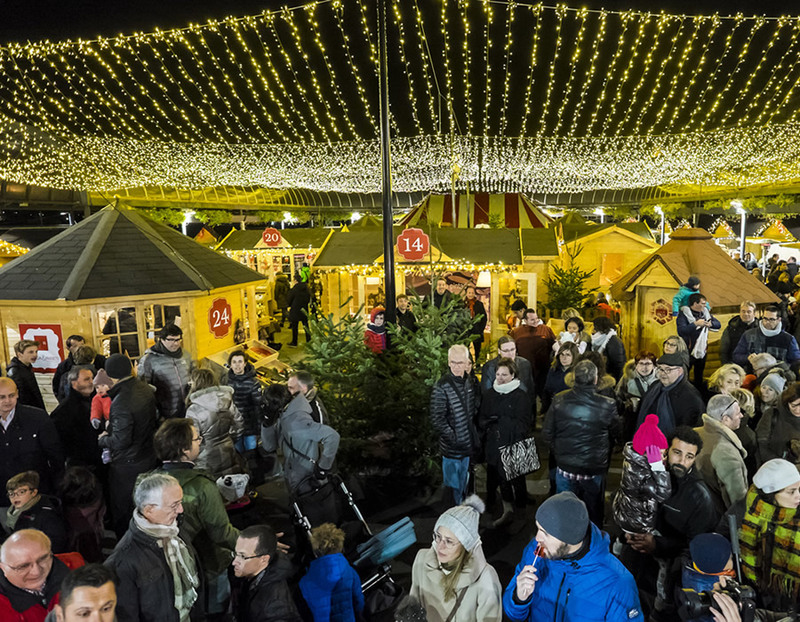 A space where you can enjoy carols and live music, while little ones can take part in local Christmas traditions, such as the Christmas Log. The Christmas Market is also all about food. Delight your taste buds with the various culinary options available and the cooking events by the best chefs planned exclusively for the occasion, so that you can feel right at home this Christmas. Saturdays and 6, 7, 24, 26, 27 and 28 December: 11 a.m.–9 pm. Thursdays: children’s workshops and demonstrations in the Chillin’ Magic area. Fridays: children’s workshops, Christmas carols at 6 p.m. and live music from 7 p.m. until 9 p.m. in the Chillin’ Magic area. Saturdays: children’s games at 12 p.m. and themed culinary events at 1:30 p.m.
All day: Grandvalira après-ski (Chillin’ Magic area). Art workshops and Christmas carols from 5 p.m. until 8 p.m.
Sundays: children’s workshops, food tasting at 12:30 p.m. and gospel music/Christmas carols and art workshop at 1 p.m.
On Sunday 24 December, Father Christmas is coming to town at 6 p.m., on Plaça del Poble.